Rick Breslin, Principal of Hello Vino, makes no bones that his company’s wine pairing and suggestion tool is aimed firmly at consumers that know nothing about wine. Stuffy it ain’t. It offers to help users do everything from selecting a good vintage to give as a gift, to picking a suitable bottle of wine in a restauarant or to go with a dish while browsing the supermarket aisles. "The general idea was to help consumers get over the pain points when they go into a store and are faced with hundreds of bottles of wine," Breslin told smartphone.biz-news. "Our target market is beginner wine consumers who typically are overwhelmed by the wine buying process." Hello Vino launched an iPhone app in June but it offers a multi-platform delivery – mobile web, Web and SMS. Breslin said data on labels and brands is provided through a partnership with snooth.com, the social database of world wines, which has access to over one million wines brands worldwide. He said that by tapping into this massive resource, Hello Vino provides users with a different way to find a wine – with the potential to make over 2000 wine pairings. So even if someone is looking for a wine to go with a dish as simple as pizza, they are asked whether they’re having cheese, pepperoni, chicken, veggies, white sauce and so on, and a recommendation for wine is then made. If wine knowledge and culinary taste are no barrier to using Hello Vino, neither are technological limitations. Anyone can access the site on their home PC and use the Hello Vino widget to find an appropriate wine. Breslin said the wine search service also works on any smartphone. Users entering the mobile website are redirected depending on the type of handset they are using to ensure as smooth a user experience as possible. This includes a stripped-down WAP version. For those that don’t have access to the mobile internet, there is an SMS service in which people can send a text message to get advice on choosing a wine. 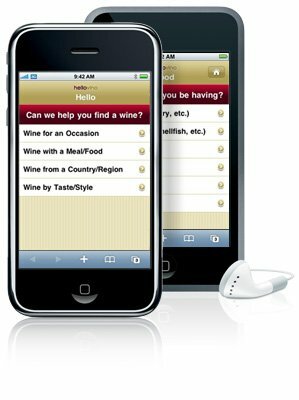 The iPhone app, however, comes with some additional features, including a search function so that users can enter a particular wine and get its details, a label shot and rating information. In the future, there are plans for native apps for Blackberry, Palm’s Pre, Samsung and Nokia handsets. "We want to give smartphone users the best experience and we will use native apps to deliver that experience," he said. Looking further ahead, Breslin said they are planning to take advantage of GPS and inventory data to provide consumers with location specific information. "If you were in, say, Joe’s Wine Shop, your GPS would show your location and pull up the store’s inventory for you to choose from," he said. Hello Vino was set up by Breslin and two fellow web developers working in the wine industry. They saw a lot of traffic being driven by demand for information about pairing food and wine and decided there was potential for a mobile application. "We were working on a little widget where someone could do a simple Q&A to find what wine they might like to try based on a dish or for an occasion," said Breslin. "Then we thought: mobile is emerging. There is a huge opportunity to package this resource onto a smartphone-formatted website." 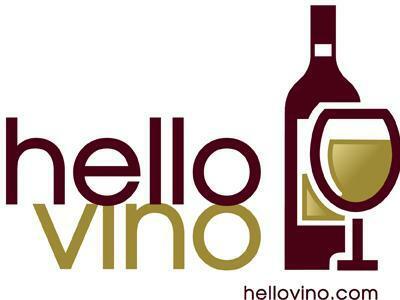 Hello Vino launched earlier this year at the Boston Wine Expo. The apps’ users are currently around 90 per cent US-based, with the remainder mostly in the UK, France and Italy. Breslin said this is because their marketing efforts have been initially in the US but it is hoped that the overseas market will continue to build. While the Hello Vino app is free, he said they have started the monetisation process through several different avenues. "There are more than 2000 different pairings on the app – that’s valuable," he said. "There is an e-commerce website selling wine that wants to use the Hello Vino widget on their site and import their inventory onto it." Another revenue earner is the sponsored placement of wine brands, where a particular brand can appear as one of the suggested wines in a user search. Breslin said this offered the largest potential, but the team is waiting until adoption levels are higher before approaching brands.